Russian gas producer Novatek said that it had signed a deal with German tech giant Siemens to buy compressors for its new Arctic LNG 2 natural gas liquefaction plant. 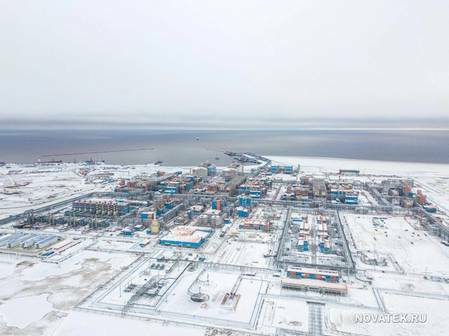 Novatek's second LNG export facility after Yamal LNG, the 19.8 million mt/year Arctic LNG-2 project is moving closer to the reality after this deal. “Siemens and Novatek have a successful working relationship as they supplied gas turbine generators and boil-off gas compressors for our Yamal LNG plant.” noted Alexander Fridman, Novatek’s First Deputy Chairman of the Management Board. “Our next project, Arctic LNG 2, will utilize new technological solutions and employ domestic manufacturers. The supply contract envisages new prospects for localizing the compressor equipment fabrication for the LNG industry, which is consistent with our strategic aim of creating and developing an LNG Center of Excellence in Russia,” Alexander added. The Arctic LNG 2 project envisages constructing three LNG trains at 6.6 million tons per annum each, using gravity-based structure (GBS) platforms. The Project is based on the hydrocarbon resources of the Utrenneye field. As of 31 December 2018, the Utrenneye field’s reserves under the Russian reserves classification totaled 1,978 billion cubic meters of natural gas and 105 million tons of liquids. OOO Arctic LNG 2 owns an LNG export license.